Set includes a Kyocera Innovation Black Z212 Soft Grip Handle 4.5-inch Utility Knife, 5-inch Slicing Knife, 5.5-inch Santoku, and 7-inch Chef's Knife. 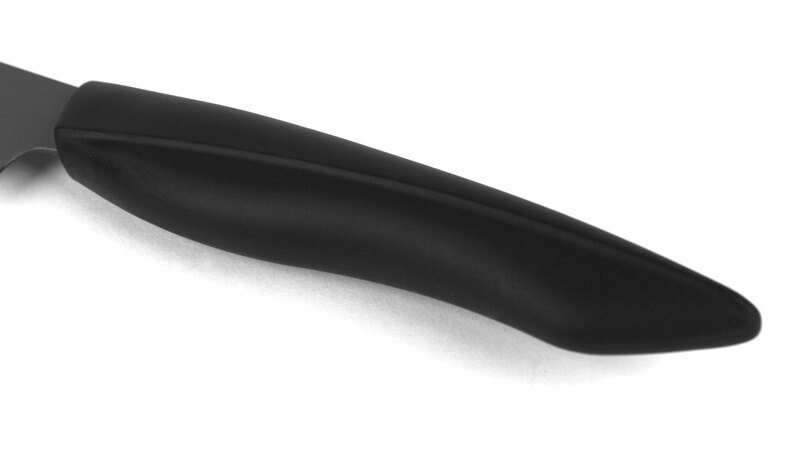 Kyocera introduces a new Advanced Ceramic Innovation Cutlery series featuring a Z212 ceramic blade that will stay sharper 2x longer. 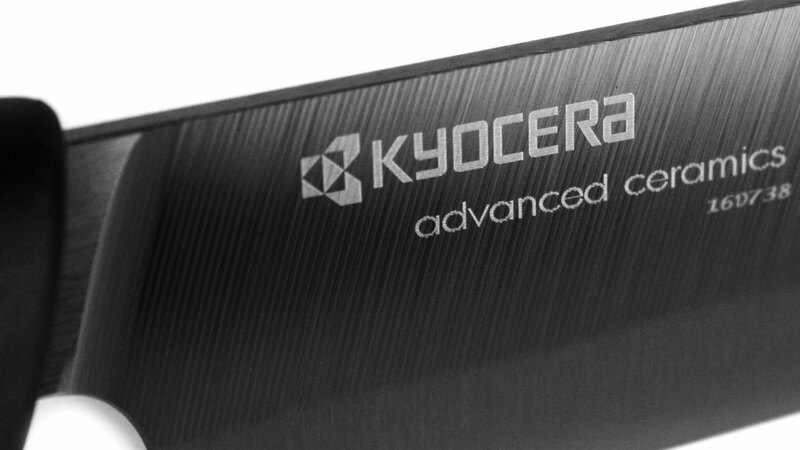 Z212 ceramic blade is a new advanced ceramic developed by Kyocera utilizing innovative ceramic material technology. 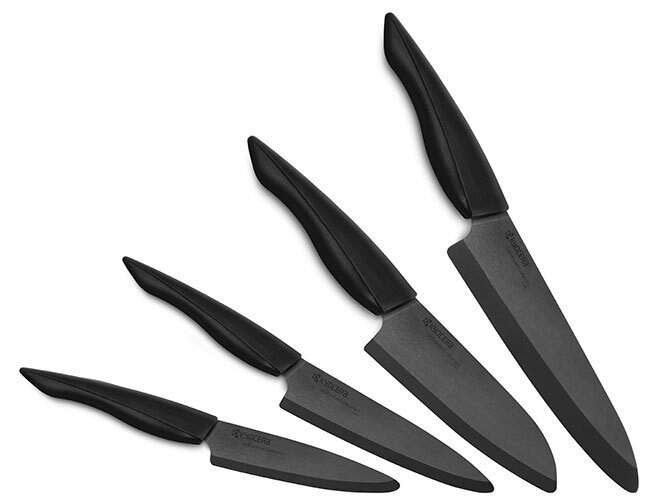 An extremely hard material that will maintain sharpness 2x longer than conventional Kyocera ceramic blades. 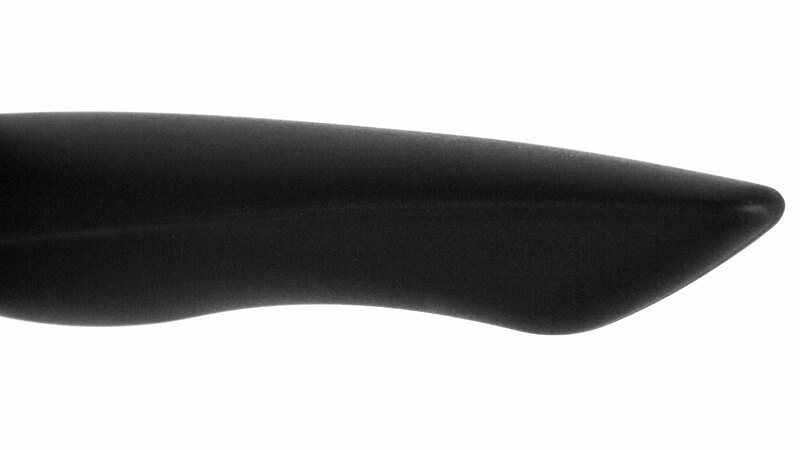 The ergonomically designed, soft-grip handle fits in hand comfortably and provides an easy grip for safe handling, and the soft grip material provides comfort and control. 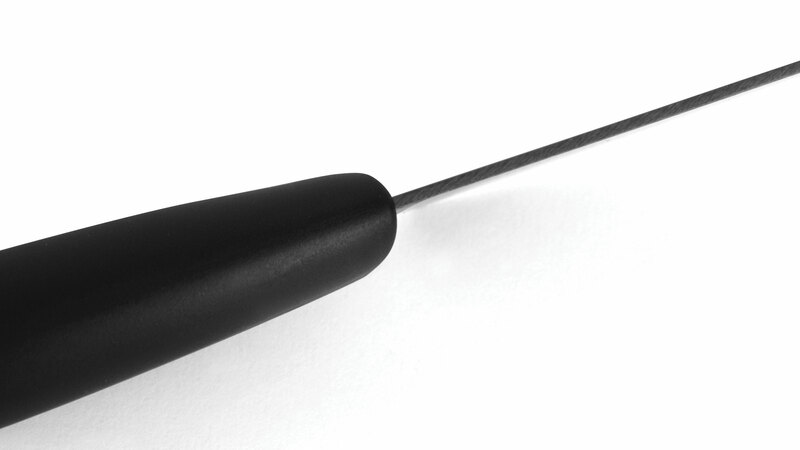 The upward angle of the handle to the blade allows for easier cutting on a cutting board.